Conservatives are furious – furious – that Senate Republicans got close to repealing big parts of Obamacare and are now on the verge of walking away from the effort altogether, possibly leaving President Obama’s health-care law on the books for the foreseeable future. No issue motivated conservative activists more over the past seven years than repealing Obamacare, with groups on the right expending huge dollars and resources to get Republicans elected across two branches of government so they could finally pass a repeal bill. Their path seemed clear. First, the GOP took the House in 2010. Four years later, Republicans seized the Senate majority. And then in November, when President Trump unexpectedly won, conservatives thought victory was theirs. Just about every Republican who won a national election since the ACA was passed had promised to repeal it as part of their platform. “You add together all the tweets and social media posts, you add all the interviews and news conferences -- my guess is that Republicans in Congress have pledged to repeal Obamacare well over a million times,” Media Research Center President Brent Bozell told reporters yesterday. The tea party movement, which helped mobilize voters to give Republicans big victories several elections in a row, largely grew out of opposition to the Affordable Care Act, Tea Party Patriots founder Jenny Beth Martin noted on a call with the press. “If there is a single unifying issue in the tea party movement, it is the desire to repeal Obamacare,” Martin said. Now, nothing is turning out as they’d hoped. Senate Majority Leader Mitch McConnell (R-Ky.) intends to hold a vote early next week to start debate on a repeal bill. But unless senators can hash out an agreement on how to treat Medicaid spending -- as they tried to do in a meeting last night in Sen. John Barrasso’s (R-Wyo.) office -- it will likely fail. It's also unclear when -- or if -- Sen. John McCain (R-Ariz.) will return to Washington after announcing last night that he was diagnosed with brain cancer. At least four centrist Republicans -- Sens. Susan Collins of Maine, Lisa Murkowski of Alaska, Shelley Moore Capito of West Virginia and Rob Portman of Ohio – have said they’ll vote against even starting debate on the measure without a better ACA replacement ready to go. That’s got conservatives seething, and plotting their revenge. FreedomWorks is prepping a “Freedom Traitor Award” along with a bust of Benedict Arnold to deliver to the offices of any Republicans who help block the repeal effort next week. Spokesman Jason Pye told me the group is “aggressively targeting” Portman and Capito’s offices with phone calls and emails pressuring them to support it. Tea Party Patriots and Club for Growth launched a website called "Obamacare Repeal Traitors" featuring photos of Murkowski, Capito and Portman, listing multiple previous quotes where they'd slammed the ACA and promised to repeal it and providing the phone numbers to their offices. "They campaigned on REPEAL, they got to Washington on that promise...and now they are betraying their constituents by joining with Democrats to defeat Obamacare Repeal efforts!" the website says. Former Hillary Clinton spokesman Jesse Ferguson recoiled at how the groups are using the word "traitor:"
Tony Perkins, president of the Family Research Council, also said his group will go after Republicans who don’t follow through on their Obamacare repeal promises. “If Republicans cannot repeal Obamacare now, they’re going to call hospice because their majority is not long for this world,” Perkins said. The political right has persistently used Obamacare as political fodder in elections. In the 2014 midterm elections, for example, Republicans used ACA messaging in 84 percent of their political ad spots, compared to just 15 percent of ads run by Democrats, according to an analysis by Kantar Media. That year, more than 1.3 million health insurance and political ads aired, half of them referencing the ACA. Conservative groups had criticized the first version of the Senate health-care bill, saying it didn’t go far enough in repealing the ACA’s insurer regulations. But the Heritage Foundation, FreedomWorks, Club for Growth and others had mostly come around with the addition of an amendment from Sen. Ted Cruz (R-Tex.) expanding the opt-out for insurers. In the end, it was two conservatives – Sens. Mike Lee of Utah and Jerry Moran of Kansas – who became the third and fourth senators to come out against the Senate’s Better Care Reconciliation Act. Yet conservatives are still placing the blame on moderate senators, who were uncomfortable with how the bill would have phased out Medicaid expansion and enacted deeper underlying cuts to the program. More moderates were unwilling, at the end of the day, to repeal Obamacare’s health-coverage expansions than conservatives had bargained for, Heritage Action spokesman Dan Holler said. “There was just no sense in the Senate negotiations that the more moderate or liberal Republicans had a desire to get to yes,” Holler said. If the Obamacare repeal effort goes down in flames – and that’s looking like the most likely outcome at this point, despite a confusing lunch at the White House yesterday where Trump made his own electoral threats to at least one naysayer – it will be a dark day for conservatives. “There’s a lot of frustration, and in some quarters, anger,” Holler said. AHH: McCain has been diagnosed with a brain tumor, the Arizona Republican said yesterday. The announcement from the 80-year-old McCain, who's a long-standing political figure and former POW in Vietnam, prompted former presidents, members of Congress and other Washington officials to put aside bickering and partisan gridlock for a moment. --The Mayo Clinic Hospital in Phoenix said tests revealed a primary brain tumor known as a glioblastoma associated with a blood clot above McCain’s left eye that was removed last week, The Post's Alex Horton reports. "McCain’s type of cancer is particularly aggressive, with commonly poor prognoses, according to medical experts," Alex writes. "The late senator Edward M. Kennedy (D-Mass.) survived less than 15 months after he was diagnosed with the same condition." The Post's Laurie McGinley, Lena H. Sun and Lenny Bernstein answer five questions about glioblastoma here.
.@SenJohnMcCain, you are a true fighter & I'll be praying for you until you beat this. I know you will. OOF: Like conservative activists, media figures are also calling Republicans "traitors" if they don't vote for a bill repealing most of Obamacare, Weigel reports. "Conservative activists and media figures have settled on a message that could fall flat: Do it for President Trump," Dave writes. "From Tuesday night through the announcement of yet another Republican meeting on their repeal bills, pundits and outside groups cast senators as 'traitors' if they did not deliver a victory for the president." "On the right, the final repeal push has been framed as a rematch of Trump’s 2016 victory — a chance for Republicans to go with their president, or reveal themselves as sellouts. Coverage of the health-care fight on Fox News, which had occasionally vanished from prime time, returned Tuesday night in the form of attacks on congressional failure," he writes. OUCH: Trump still hopes the Senate health-care bill is only mostly dead, not all dead. The president lunched with Republican senators yesterday, where he exhorted them to resurrect the failed measure. I'm eager to replace Obamacare and I'm the first one on the bus to the Whitehouse to find the magic to get to "yes"
Trump even threatened electoral consequences for GOP senators who oppose him, suggesting that Sen. Dean Heller of Nevada could lose his reelection bid next year if he does not back the effort. Heller was one of several centrist Republicans who disliked the health-care bill's deep cuts to Medicaid. “Any senator who votes against starting debate is really telling America that you’re fine with Obamacare,” Trump said. He said his selling across state lines plan would pass in a separate bill and reduce premiums 60 to 70 percent. "People don't know that!" "Trump's remarks prompted some of them to reopen the possibility of trying to vote on the sweeping legislation they abandoned earlier this week. But there was no new evidence that the bill could pass," my colleagues Sean Sullivan, Kelsey Snell and David Nakamura report. Not even after another meeting last night on Capitol Hill, where Vice President Pence, Health and Human Services Secretary Tom Price and Centers for Medicare & Medicaid Services director Seema Verma met with roughly two dozen GOP senators. "The meeting was arranged by the White House to help persuade wavering senators to back the repeal-and-replace bill," my colleagues write. "Following the meeting, several senators described the talks as productive, but none would name specific areas of progress or new agreement that resulted from the gathering." Per Axios, one senior GOP aide dismissed the chances for actual progress, given that the conservatives and moderates want completely different things. "This is just the death rattle," the aide said. "Trump seems to think that the problem was one of salesmanship, as a hammer might have only one idea of what to do with a nail. Tell America that the health-care bill is good and then they will like it, the theory seems to go, and then you can pass it," The Post's Philip Bump writes. But there are a few problems with Trump's strategy. "The first is that people actually have a good sense of what’s in Republican bills introduced in the House and Senate — and they don’t like it," Philip writes. "The broader problem that Republicans have in “discuss[ing] how good their health care bill is” is that there aren’t a lot of non-Republican-politician types that are willing to help make that case." --If Trump sticks to his "let Obamacare fail" strategy, there are a few ways he could actually make it fail, The Post's Carolyn Johnson reports. If marketplace premiums skyrocket next year, a big part of the reason could be because Trump discontinued making billions of dollars in payments to insurers that help defray the cost of deductibles and out-of-pocket expenses for lower-income Americans. "Those payments, called cost-sharing reductions, have been projected to add up to $7 billion this year," Carolyn writes. "A White House spokesman said Wednesday that the cost-sharing reduction payments would be made on time this month, but the administration had not made a decision on whether to continue paying them long-term." --Considering that Senate Republicans weren't able to pass a bill estimated to cost 23 million Americans their coverage, it's highly unlikely they'll approve a bill next week that would result in 32 million more Americans lacking coverage. But doctors associations, who lobbied hard against the GOP replacement package, aren't making any bets. Six groups issued a statement yesterday opposing the ACA repeal-only bill that GOP leadership will try to advance next week. "We oppose any effort by the U.S. Senate to repeal the ACA’s Medicaid expansion, premium and cost-sharing subsidies, and other coverage and consumer protections....A vote to repeal the ACA absent such consensus would further destabilize the health insurance marketplace, cause massive premium increases, and leave our patients without access to affordable, comprehensive health care coverage," says a statement from the American Academy of Family Physicians, the American Academy of Pediatrics, the American College of Physicians, the American Congress of Obstetricians and Gynecologists, the American Osteopathic Association and the American Psychiatric Association. --Last night, the Congressional Budget Office released an updated score on a bill only repealing -- and not replacing -- large sections of the ACA. Congress already passed this repeal-only bill at the end of 2015, and it's now the legislation Senate GOP leaders are trying to advance. The CBO said the bill would increase the number of people without health coverage by 17 million next year and 32 million at the end of a decade. The forecast is nearly identical to prior CBO estimates. The new report also said the legislation would decrease federal deficits by $473 billion over that 10-year window. Let's just say the new forecast probably won't help motivate senators to vote for it. CBO scored repeal without a replacement - it's a humanitarian disaster of incomprehensible scale. 32M lose insurance. Premiums go up 100%. --The Senate health-care bill is mostly dead at the moment, but let's rewind for a few minutes to de-tangle more of the political rhetoric around it. Remember how Trump and other Republicans claimed it didn't cut Medicaid but did cut taxes? Well, you can't have both, Post Fact Checker Glenn Kessler explains. "If a politician says there are tax cuts, they must also say there are Medicaid cuts. If a politician says Medicaid spending is growing, they must also say taxes are growing. Anything else is just spin," Glenn writes. But why? It's because everything is measured against the government's expected future spending, called a baseline. The Congressional Budget Office projected that in the initial version of the Senate health-care bill, Medicaid spending would be $772 billion less over 10 years than under current law -- even though the raw dollars would increase from $393 billion in 2017 to $464 billion in 2026. So while Medicaid spending would be higher by 2026 under the Senate bill, it would still be $160 billion lower than under current law. Same thing goes for the bill's tax reductions. The initial Senate bill includes the repeal of Obamacare taxes that totaled $563 billion. But tax revenue would still go up, year after year. All that would happen is the growth in revenue would be slowed, to the tune of $84 billion in 2026. The bottom line: "If a politician wants to claim that the Senate bill includes increases in Medicaid spending, to be accurate, you’d have to say there are increases in tax revenue — which is something most politicians never want to say," Glenn writes. "Politicians can’t have it both ways. Both the reductions in Medicaid spending and the reduction in taxes need to be measured against a current-services baseline in order to measure the potential impact." 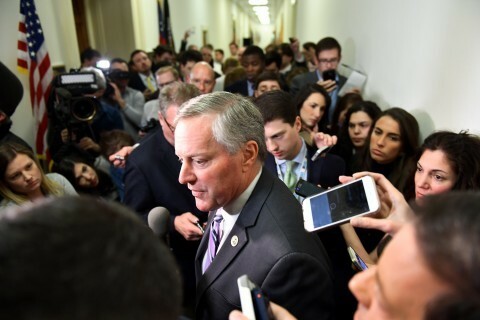 Leaders of the hard-line House Freedom Caucus on Wednesday evening will jump-start a process intended to force the measure to the floor as early as September. In a bold move to revive their healthcare bill, Senate Republican leaders are getting ready to propose giving $200 billion in assistance to states that expanded Medicaid, according to a person familiar with internal Senate negotiations. 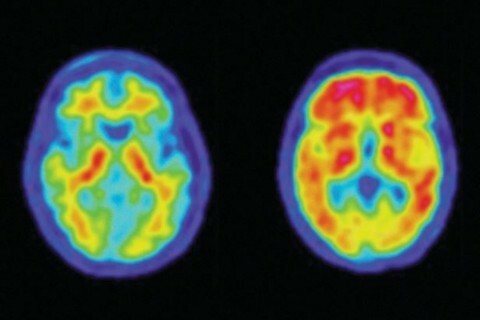 Images showing the presence — or absence — of amyloid could change the treatment for dementia. 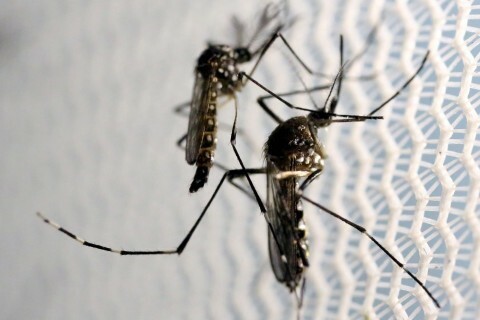 A Silicon Valley tech company plans to release about 20 million bacteria-filled mosquitoes in central California this summer. 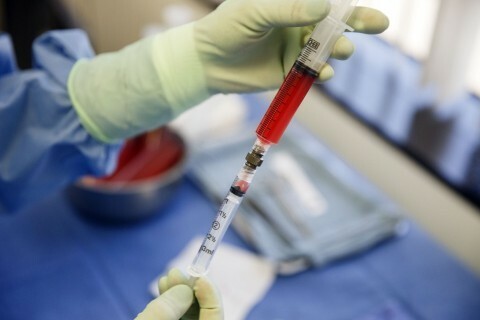 Stem-cell clinics are using a federal database as a marketing ploy for expensive, unregulated therapies, an analysis shows. A pilot program in Los Angeles offers a glimpse of how Apple is trying to further tap into the $3 trillion health-care market. 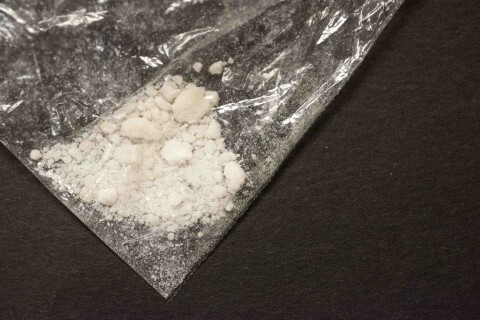 The Hill is hosting an event on the prescription drug delivery system. The House Energy and Commerce Subcommittee on Health will hold a hearing on bipartisan legislation to improve Medicare.